In this part, we will continue our journey into the future with the Smart Cities. In particular, we will discuss the role that IOTA can play in this. 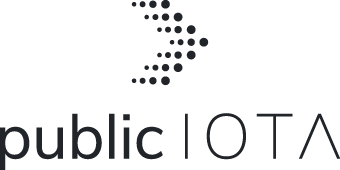 public IOTA contacts experts for the respective topics in order to carry out a basic research. 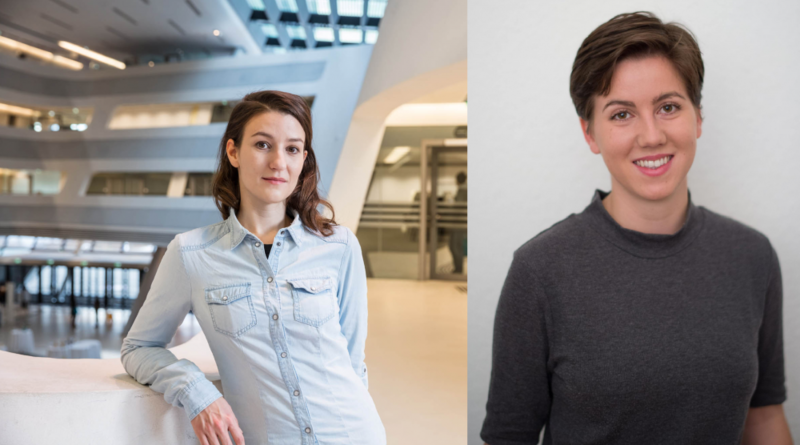 We are particularly pleased that we were able to receive guest authors Nina Pfuderer and Lena Papasabbas from the "Zukunftsinstitut". The "Zukunftsinstitut" was founded in 1998 and decisively shaped trend and future research in Germany from the beginning. Today, the company is considered one of the most influential think tanks in European trend and futures research. Our guest author Lena Papasabbas deals with the transformation of the network society, its people, values and technologies. As a cultural anthropologist she is interested in all facets of our increasingly heterogeneous culture and deals with central development dynamics. From global perspective, cities are getting bigger. Every 16 months, the population of a city exceeds the ten million mark. This ongoing process of urbanization therefore creates challenges that need to be mastered to ensure a high standard of living. Without intelligent technology, giant cities can turn into monster cities. The challenge is therefore to design the city of the future to be technologically intelligent and networked so that urban living spaces can be cleaner, safer and more stress-free. 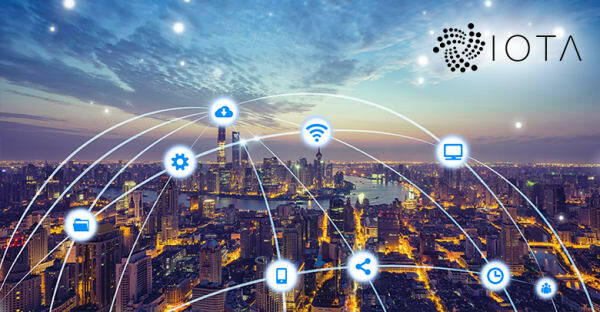 The cryptocurrency IOTA will be playing a crucial role in the interconnected city of the future. According to a forecast, no later than 2050, 60 percent of humanity will be living in cities. A whole range of things are desirable to improve the quality of life in a big city. In particular, the gap between poor and rich is often incredibly large in big cities. A city of the future, a smart city, uses smart and connected technologies to simplify our daily lives. They help us to save time, use new forms of mobility and breathe cleaner air. To put it in a nutshell, Smart City technologies are working to improve the overall quality of life for their residents. Less congestion, smart homes and energy efficient use of buildings are just a few of the benefits. All of this is also necessary to guide people out of the poorer outskirts of the city and to make them aware of the Smart City project - because it can only succeed if the inhabitants take advantage of it. In a Smart City, modern technologies from the areas energy/electricity, mobility, urban planning, administration and communication are interconnected in a way as to improve the quality of life for all residents, allowing the city’s sustainability and climate to benefit as well. Interconnected areas require quick data and finance transfer in order to work at their best. The term “Smart City” is used in a wide sense and cannot be narrowed down to one definition. It originated in the political environment and summarizes the economic, technological and social concepts for a green city that’s worth living in. Compared to conventional cities, Smart Cities aim to be more efficient, sustainable and progressive. A Smart City approaches problems arising from demographic change and growth, pollution, climate change and shortage of resources with innovative concepts and technologies. Constant interactions between the residents and the surrounding technologies allow human aspects and technology to merge and design a joint infrastructure. New information and communication technologies are employed in order to protect resources, improve the quality of life for every resident and to increase the competitiveness of the city and its economy. The concepts of a Smart City influence many areas of modern cities. One of the goals to achieve in the energy sector is to stop employing fossil fuels on a long-term basis, and to establish electric mobility. Integrated energy strategies are being created for public, private and commercial areas. Interconnection between infrastructure, mobility and energy creates additional synergies. Residents are actively included and taking part in the measures. 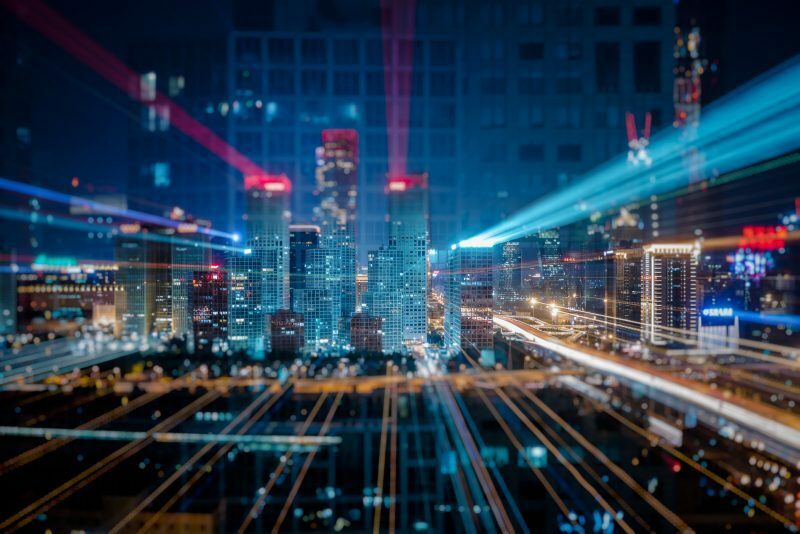 In order to achieve its goals, a Smart City will become some kind of Internet for all things and services and will be equipped with sensors to perform an extensive collection of data as well as execute payments. Collected data will be analyzed and shared with each of the areas and measures via the cloud. Digital systems manage whole infrastructures in real-time, or building structures turn into energy suppliers. Another aspect included in the concepts are the different circulation processes e.g. for the water and wastewater/sewage regime or for recycling garbage. The mobility area mainly focuses on promoting emission-free vehicles and mobility concepts. All services will be available online to provide a resident-friendly administration. The entirety of the public administration will represent a service provider and provider of innovative urban applications while fully involving the residents in their activities and services. This also includes areas of public security and health care. Today, many cities are already working towards different concepts of Smart Cities and are actively implementing projects from the different areas: In order to provide more mobility, flexible carsharing, charging stations for electric cars or traveling routes optimized by actively accessing users’ app data are already available. In the field of delivery services, projects exist, which create central locations with warehouse boxes for delivery services as reloading and collecting points. This enables recipients to collect their delivery at any time or let bike couriers take care of the last stage of delivery. Street lamps, which automatically turn on when a vehicle or person approaches, or traffic lights with longer green phases for buses, ensure more energy efficiency, safety and mobility. Many cities install photovoltaic systems on public buildings such as schools or city halls to avoid using fossil fuels and to foster regenerative energy sources. If the municipality also operates the urban power supply system, it may become a provider of electricity for its residents. The rapid development of information technologies changes the image of modern cities profoundly. In order to ensure a normal urban life, an infrastructure, which is essentially different and uses intelligent networks, is necessary. Smart technologies will become the foundation for the construction of future mega cities. In 10 years, many infrastructural measures will have been implemented. Smart Cities and Smart Homes will then be benefiting from the introduction of a digital ledger technology such as IOTA. By combining sensors, smart contracts and high security in Tangle, the management of mega cities will be able to visibly improve the quality of life of the population. McKinsey’s predictions demonstrate that in 2020, there will be at least six hundred cities with smart technologies on this planet. Until 2050, these urban clusters will provide for around 70 percent of the GDP. The market for those cities will amount to around 400 billion per year. 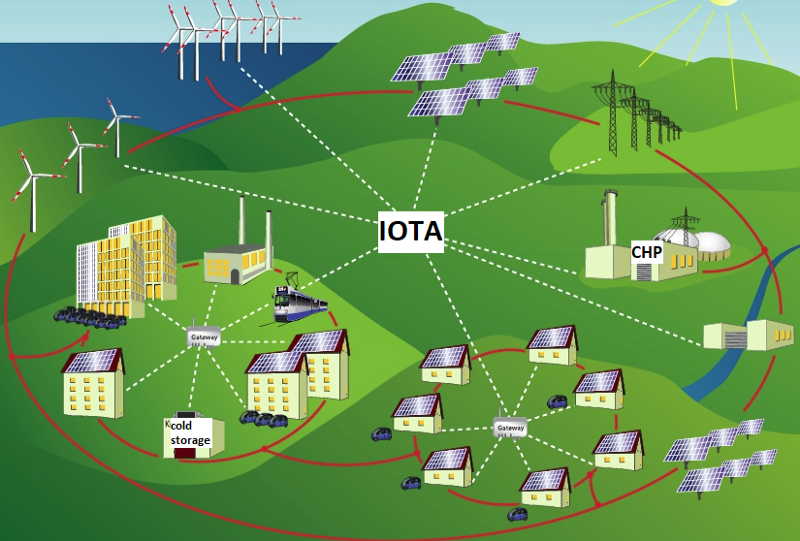 We assume that in 10 years, all big cities in this world are interconnected and linked with IOTA in many aspects. Of course, it’s still a way to go, but following visions may already be reality in 10 years’ time. Intelligent buildings: Locations where information networks and technological communication are administered in a unified control system. This enables interaction between different service systems. For instance, an office building can be heated before the workday begins and the climatization can be adjusted to the current temperature of the rooms. The control system considers the amount of people in the building and rates the quality of the air in order to enable a pleasant stay. After everyone has left, the building automatically turns on the energy-saving mode. It’s true that the Smart City requires a considerable technological capacity, in order to enable millions of Smart Homes to work. Intelligent infrastructure: Intelligent networks monitor traffic, gather traffic regulations and immediately react to incidents. There’s no need to worry about the innovative parking lot, since the system calculates the most logistic route. Appropriate consumption: Innovation in energy and water consumption. This could refer to progressive programs, which manage the consumption of water and technologies in relation with renewable energies. They make for control the water consumption and improved communication networks in order to provide environmental safety of the system. Last year, the Netherlands were the first country to implement IOTA (MIOTA) in their governmental organizations, starting with the city of Haarlem. Commissioned by the municipality of Haarlem, ICTU and Xurux developed a Proof of Concept to administrate and verify legal documents regarding housing within public registers via the open source network “Tangle” created by the IOTA Foundation. Taipei signed a partnership agreement with the Germany-based IOTA Foundation to explore Smart City solutions based on Tangle. The city has already launched a number of projects including digital identification and air quality monitoring systems. Taipei has become one of the first cities in the world to test out IOTA. “A lot of people probably have the notion that blockchain technology is universal, but it’s not,” said Lman Chu, the co-founder of Biilabs, a start-up looking for a better Smart City solution than blockchain. The Taiwan start-up is collaborating with the Taipei City government and working with the IOTA Foundation to provide the core technology for the smart city projects. The consortium/syndicate +CityxChange, which the IOTA Foundation belongs to as well, received financial help for a lighthouse project as part of an EU research and innovation program. In order to try out smart energy innovations, seven EU cities have been given a total of 30 million euro. 25 companies and organizations including the distributed ledger technology IOTA form the consortium “+CityxChange”. The group lead by the Norwegian University of Science and Technology (NTNU) competed with 11 other suggestions for the development of energy-independent cities. The blockchain technology will be used to improve the quality of life in European cities. In the next five years, the European cities Trondheim, Limerick, Alba Iulia, Pisek, Sestao, Smolyan and Voru will be testing digital services in order to improve the quality of life and to generate more energy than is being used. They will share their experiences with cities in all of Europe in order to drive forth the further development of the “Smart City”. Funds of 20 million euro will be provided by the European research and innovation program Horizon in 2020. Some of the project partners will provide 10 million euro in kind for the local implementation of display projects in Trondheim and Limerick. The project +CityxChange has been praised by independent experts for contributing to a further diffusion in the future. All submitted energy solutions include local authorities and residents who will “include the entire energy supply chain of the district and doesn’t extend to profit organisations, but to high-ranking political decision makers, cities, universities, large businesses, distributed network operators and KMU”. Smart Cities belong to the fastest growing innovation areas across sectors for IOTA. Basen on our work and our partnerships in mobility, energy or the data market, the smart urban ecosystems unite everything. The time has come where an increasing number of Smart Cities will come into existence. IOTA may be the key for a future concept of data transfer and payments. "The United Smart Cities program is a global initiative, established by the United Nations Economic Commission for Europe (UNECE) in cooperation with the Organization for International Economic Relations (OiER) and other international organizations, cities, industry and finance sector. United Smart Cities is a unique platform that brings together international organizations, companies, governments and high level decision makers to work together on one Goal: Generate and realize more smart and sustainable city projects."